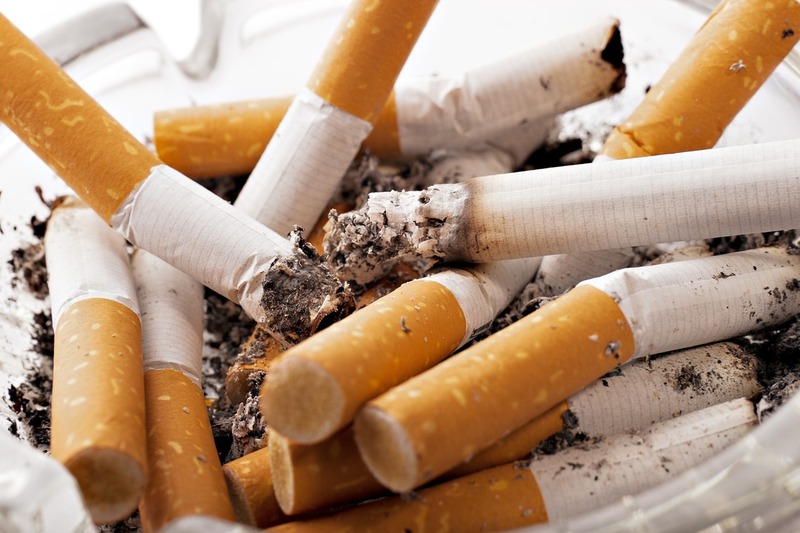 It is being estimated that nearly four million people die every year in the United States from smoking and almost, one in five deaths happen because of smoking. Apart from cancer, smoking contributes to plenty of other diseases and ailments like diabetes, COPD, stroke, bronchitis, fatigue and many more. So, why is it that, despite knowing the dangers attached to it, people continue with the habit? Let’s learn why. The mind is a strange place and we often end up being slaves to what it wants. It is the nature of the mind to always seek ecstasy, joy and happiness and when that is not available from within, it searches for external sources to fulfill those desires. Practicing yoga poses is a great way to quiet the mind, and eliminate the need for these external sources of physical and emotional pleasure. Since, nicotine is a depressant; it gives us a feeling of relaxation and escape that the mind rejoices. Similar, is the case with other addictions like alcohol. Instead of seeking the things that the mind wants from external sources, we need to focus on the happiness that lies inside us. If we are able to trace that and allow it to surface, all these addictions will be banished and never make a comeback. That is where yoga plays a crucial role. Apart from calming the mind, yoga allows us to listen to our body, develop patience, willpower and increase the sense of control. With daily practice of yoga, which relaxes the mind and the passage of time, it helps us to create a self-support system where we no longer need external sources to satiate the mind. The happiness surfaces from within and the mind remains more calm and relaxed. Though, it may look like a complicated pose but, it isn’t that difficult to achieve. This pose is excellent when it comes to strengthening and stretching various parts of the body. But, this asana also has a great impact on the breathing process resulting in increased intake of oxygen. If practiced on a regular basis, it can reduce stress, anxiety and help us to be calmer. The Bridge Pose (Setu Bandhasana) stretches the spine, neck and chest as well as reduces anxiety, depression and stress by calming the brain. The bridge pose is all an effective asana to open up the lungs increasing the oxygen flow in the body. In this asana, the entire body is balanced upside down which ensures a steady flow of blood to the brain. As a result, this yoga pose help brain calms down, and we are better able to stop the urge of smoking. This asana is also adept at keeping off metal stress which further eliminates any chances of lighting up. ‘Nadi’ means subtle energy channel and ‘Shodhan’ means cleaning. This pranayama is useful for clearing the blocked energy channels in the body. According to ancient teachings of yoga, Sushumna, Pingala and Ida are the 3 most crucial nadis in the human body. The improper functioning of these nadis may lead to discomforts or ailments like sluggish digestion, itching body, low mental energy, depression, cold and more. This breathing technique works therapeutically on respiratory and circulatory systems. This induces a feeling of calmness and takes our attention to the present moment getting rid of all sorts of anxieties. The capacity of the lungs is restored with this asana which counters the effects of smoking. The child’s pose is a popular and easy to learn yoga pose. It teaches us to bend forward and connect with the ground, which in itself is a healing practice. This is also regarded the surrender pose. In this pose, we learn to accept everything there is, and forgive ourselves as well as the situations surrounding our addictions. The regular practice of this asana helps us to be at one with Mother Nature and soothe in the present. The headstand come with a plethora of health benefits. It is regarded as one of the best yoga poses for healing. One of the major benefits of this asana is that it squeezes the adrenal glands which are responsible for the production of stress hormones. Also, it stimulates the lymphatic system of the body thereby removing toxins. This asana is quite useful for smokers as they begin to feel the good effects and surrender to the urge of smoking. Bipin Baloni is a passionate Yogi, Yoga Teacher and a Traveller in India. He provides Ayurvedic Treatment In Kerala. He loves writing and reading books related to yoga, health, nature and the Himalayas.